Mobile gaming has expanded from a library of quick and casual titles to more competitive and advanced games that will push your skills and smartphone to the limit. If you want the best Android gaming experience — and want be prepared for what else is to come — we're here to help. The Razer Phone 2 brings in more of Razer's design sensibilities from its popular laptop division to bring more wow-factor to the table — with both a brighter display in the front and customizable RGB lights on the back. Gaming on an Android phone has never looked or sounded so good. Mobile gaming has grown by leaps and bounds over the past five years. What was once seen as a niche market mostly for distracting fussy kids and entertaining bored adults on their work break has quickly evolved into an expansive industry featuring big-name titles, competitive gaming tournaments, and a diverse library of premium and free-to-play games to choose from. For the discerning gamer, we're living through the golden age of mobile gaming. For the discerning gamer, we're living through the golden age of mobile gaming. It used to be the case that it was good enough that your phone could play a few games. These days, you may be asking whether your older phone is good enough to play the latest mobile games being announced at major gaming conferences. Games like PUBG Mobile, VainGlory, and Fortnite have pushed competitive mobile gaming to the forefront, where the Razer Phone 2's Snapdragon 845 processor and 8GB of RAM flexes its might at top graphical settings with ease. Games optimized for the Razer's 120Hz refresh rate display look fantastic, too, and the massive 4,000mAh battery and Razer's Game Booster software optimization come together to give you better game performance or extended battery life. If your skills and strategies are razor sharp, the Razer Phone 2 might give you a slight advantage over your opponents because the games play so fast. Yes. 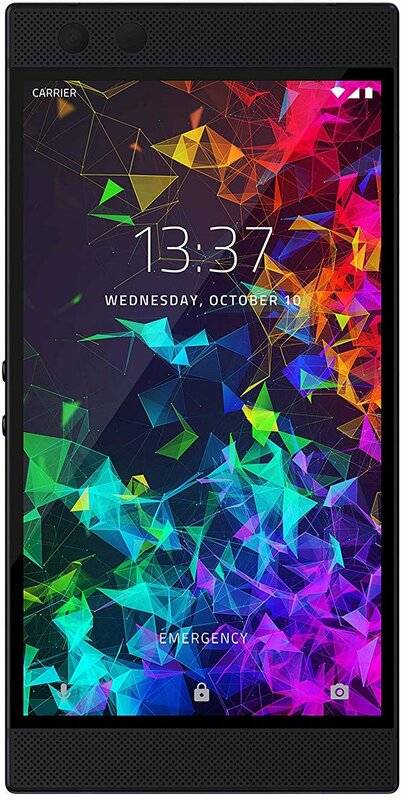 Razer has recently slashed the price of the Razer Phone 2 by $300 which is pretty huge for a flagship phone that also just got the upgrade to Android Pie, making the Razer Phone 2 prime candidate for anyone looking to upgrade in 2019. As good as the Razer Phone 2 was at launch, that $800 price tag was still a steep ask for a niche product from a company still new to the mobile space — especially when you could get the latest Google Pixel or Samsung Galaxy on contract through most carriers. But it's definitely worth reconsidering at its new price if you're looking to stand out on the streets and on the virtual battlefield. We can credit Razer for raising the bar — and awareness — for gaming smartphones. Since Razer acquired Nextbit at the start of 2017, they started using their PC gaming expertise to create a smartphone that prioritized specs and performance for gaming. Released in November of that year, the first Razer Phone brought a lot to the table but was ultimately hampered by a mostly dim display and a mediocre camera that made it hard to recommend as a daily use phone. Fortunately, Razer came back in 2018 with the Razer Phone 2 and managed to address all those issues while also improving nearly every other aspect of the phone. Razer Phone 2 manages to address all the issues we had with the first Razer Phone while offering improvements to nearly every other aspect of the phone. The Razer Phone 2 is designed to deliver the best visuals and audio for your gaming and media needs, and it does not disappoint. The front-facing speakers are powered by Dolby Atmos and it sounds great. The display supports up to 120Hz refresh rate which looks gorgeous whether you're swiping through app menus or playing your favorite mobile game. The 4000mAh battery is ample and boosted by Razer's Game Booster software that lets you fine-tune the phone's performance to prioritize gameplay performance or battery life. The camera has been significantly upgraded and includes features like portrait mode, 4K video, panoramas — it's still not the best but certainly a significant upgrade over the mess that was the first Razer Phone's camera. Other premium features include IP67 water resistance, wireless charging, and that customizable Chroma logo on the back that's a great conversation starter and can also be used for app notifications. I also must speak to the build quality here. In a world where screen bezels are the enemy, I've come to really appreciate the aluminum frame and massive front-facing speakers for taking the brunt of some nasty drops that would have pulverized any other smartphone screen. The Razer Phone 2 is a phone that the average Android fan would enjoy using, but if you love to battle for chicken dinners in PUBG Mobile, you got to try playing the game on a Razer Phone 2. It will blow your mind. While the Razer Phone 2 might be the best gaming phone at the best price, you do have other options. There are other great phones out there that offer particularly enticing features — and prices — for avid mobile gamers. ASUS gets in on the gamer smartphone craze. 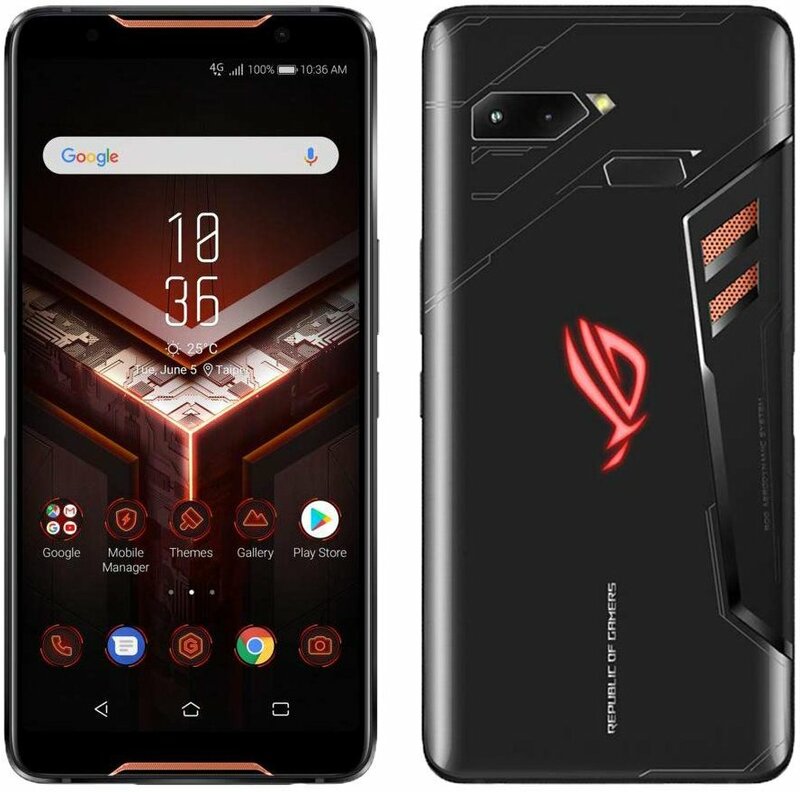 The ASUS smartphone division has proven to be a player in big international markets such as China and India, but they're looking to finally make a splash in the states with its flashy new gaming phone — proudly flying the Republic of Gamers brand with a bold design. Its top-tier specs include an Snapdragon 845 processor, 8GB of RAM, 128GB of storage, as well as some interesting features we haven't seen before on an Android phone, like ultrasonic shoulder trigger inputs, relocated USB-C and 3.5mm ports designed for charging while gaming and an included cooling fan. The ROG phone has a lot going for it, with a 6-inch AMOLED display that supports up to 90Hz refresh rate and high-end specs for a gorgeous gaming experience. ASUS has also shown off a wide selection of accessories that let you convert your phone into a full desktop setup powered by your phone, along with a GameVice controller and other unique ways to game. At $900, it's just too expensive to recommend as our top pick, but it's still a really neat concept for a phone that deserves mention here. A great phone for gaming… and so much more! When considering the best phone for gamers, the decision largely comes down to three considerations: hardware performance, display, and battery life. Once again, Samsung's latest flagship checks all three boxes with top-end specs and industry-leading design that includes great hardware features for gamers such as front-facing speakers, a headphone jack, expandable storage, along with water resistance, and wireless charging for daily use and convenience. Samsung continues to fine tune its hardware and software generations after generation to provide a top-tier flagship device each year that's guaranteed to support the latest and greatest in mobile gaming. Be sure to check out Samsung's Gaming Mode and game launcher, which offers valuable features including an integrated screen recording function. The Honor 8X offers premium looks and performance that are way better than the price would suggest. We've highlighted a lot of top-end smartphones in this space, but the truth is you don't actually need to spend close to $1000 for a phone that performs well for gamers. The Honor 8X is built to perform while preserving battery life, with a brilliant screen-to-body ratio, a dual-camera setup on the back along with a well-placed fingerprint sensor. On its own it's a pretty great phone for under $250 — but when it's time to game you can turn on GPU Turbo for enhanced performance. The idea of buying a Razer Phone 2, or ASUS ROG Phone, or the latest Samsung phone as a dedicated gaming phone seems a bit absurd — but the Honor 8X is a realistic contender if you want to dedicate one device for all your serious mobile gaming and streaming. It's a surprisingly capable device that's really only given away as a budget handset by the Micro-USB port on the bottom. Even as a phone you'd use daily, too, it's a quality contender if you'd rather then spend your money saved on the best gaming accessories. With a newly discounted price, the Razer Phone 2 is simply the best gaming phone you can buy right now. ASUS and Samsung offer fantastic alternatives for gamers but the prices are higher and frankly, the Razer Phone 2's display is something you need to experience in person.